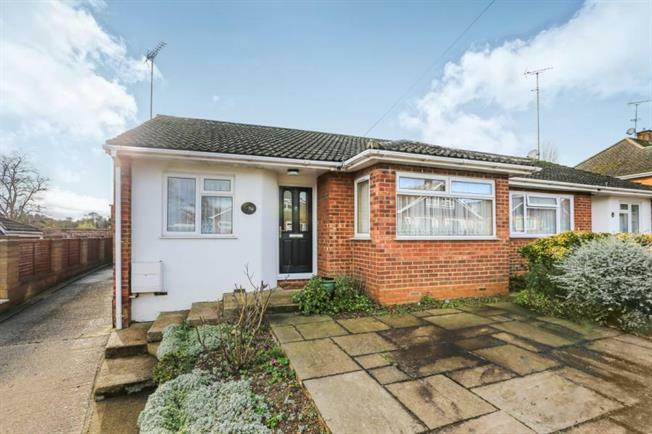 2 Bedroom Semi Detached Bungalow For Sale in Hitchin for £415,000. Thoughtfully extended, two bedroom semi detached bungalow with garage set to the rear and ample off road parking. This property offers 2 generous bedrooms, separate wc and bathroom along with an extended lounge area providing additional dining space as well as good size kitchen which could be altered to accommodate a breakfast area or small dining table. Other features include gas central heating, double glazing w/s, generous rear garden with access to side leading to both the garage and the front driveway. Little Wymondley is a small village located mid way between both Hitchin and Stevenage meaning that access to both train stations and the A1(M) are in easy reach meaning that this home would make the perfect base for a commuter into London or wishing to get access onto the M25.